From Matt Spradlin, co-creator of Bad Kids Go to Hell, and Dave Beauchene, artist of Adventures of a Comic Con Girl, comes a story of caged canines and clan strife. When his greedy brother Harvey threatens to boost their family-run kennel income by expanding into selling strays as test animals to pharmaceutical companies, Carton Evremonde refuses and walks. 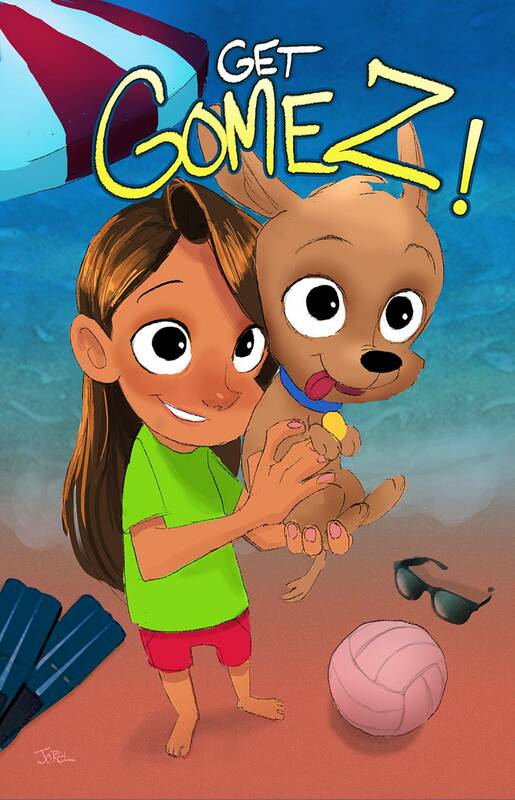 Now living with Gomez, the family dog, the one-time Olympic volleyball hopeful spends his days practicing on the beach. He even sees a chance to realize his dreams through coaching his niece, Jody, with Gomez's help. But Everitt's avarice threatens to destroy Jody's ambitions and Gomez as well!